At The Killino Firm we know class action lawsuits. For instance, we filed a class action lawsuit against Mattel Inc., seeking to compel them to pay for medical testing of children who played with or were exposed to recalled toys. The Killino Firm’s highly trained and experienced legal team has a proven track record of success in handling class actions. If you need a lawyer who will exhaustedly investigate a class action lawsuit, and make sure that every responsible party is held accountable, contact the experienced attorneys at The Killino Firm today. 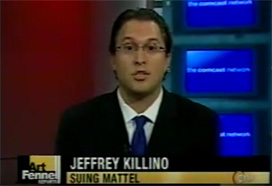 The Killino Firm gained national recognition for its class action lawsuit against Mattel Inc. Although Mattel issued a recall of millions of Chinese-manufactured toys, The Killino Firm felt that was only the first step. Our attorneys are experts at digging deep and fighting so every American and his/her family will be kept safe from companies and individuals that want to save a few pennies but in the process put Americans’ safety at risk. From CNN to ABC and around the world, we make the news because we are dedicated to assuring America is safe and secure. View The Killino Firm in the news here. Although The Killino Firm has recovered millions in compensation for our clients, our true accomplishment is promoting a safer place for every American and his/her family. A class action is a lawsuit filed by a group of people or businesses on behalf of many other people and businesses who have been wronged in a similar way. 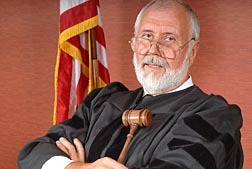 Many class action lawsuits result from a manufacturer’s defective products, a company’s violation of its contract with customers, or securities claims. At The Killino Firm, we recognize the importance of class action lawsuits and their impact upon hundreds, thousands and sometimes millions of people. Businesses and individuals who seek to file class action lawsuits hire The Killino Firm, because they know that we will examine all of the issues the case raises and fight zealously to assure that the defendant compensates members of the class for the damages they have suffered. At The Killino Firm, we go the extra mile in every case, including class actions. We treat every client and every case with the same intensity as we have the Mattel toy class action. When something goes wrong, the lawyers and staff of The Killino Firm are prepared to investigate in order to discover not only what happened, but why. Using cutting edge technology, we proceed aggressively so that our clients receive all of the compensation they are entitled to. That’s The Killino Firm Difference. When you need a lawyer who will exhaustively investigate a class action lawsuit and make sure that every responsible party is held accountable, contact The Killino Firm, where Keeping America Safe is our primary goal. To speak with one of our attorneys, call us toll free at 877-875-2927, or send an email to a accident lawyer today. We will respond promptly to your inquiry so that you can experience The Killino Firm Difference.